The government wants to implement new and tougher Australian citizenship requirements. These reforms were presented in Bill 2017 and were defeated in the Senate. However, the Government has been working on a revised version, but there is no date yet as to when the revised Bill would be brought again for a debate in Parliament. If approved by the Parliament, Australian citizenship will be more difficult to get. Australian values are now at the core of the citizenship application process. 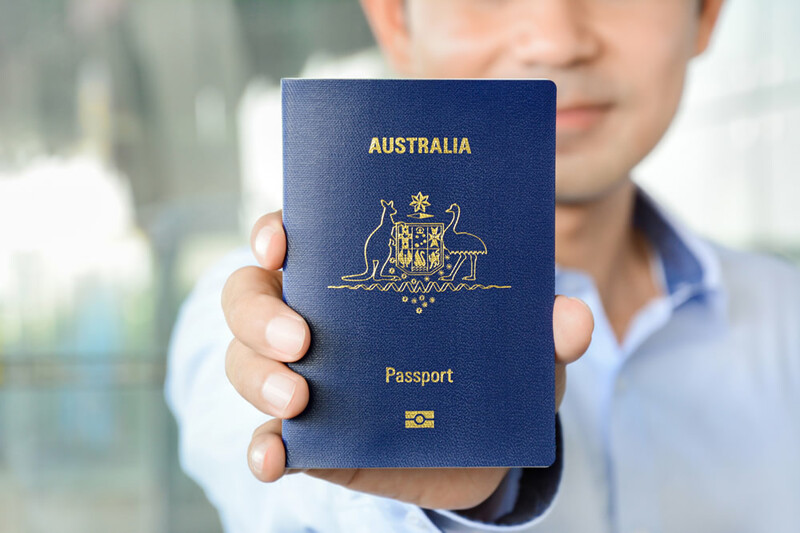 The government states that Australian citizenship is a privilege and will be granted only to applicants who embrace Australian values, respect the laws, work hard, and integrate into Australian society. If approved by the Parliament, applicants for Australian citizenship will need to have a minimum of four years of permanent residency immediately prior to their application for citizenship (as opposed to 1 year right now) with no more than one year spent outside Australia during that period. If approved by the Parliament, all applicants will have to demonstrate their proficiency in the English language by passing a stand-alone English test which will include speaking, listening, reading and writing components. Applicants must pass this English language test before taking the citizenship test. Applicants must pass this English language test at the modest level before applying for citizenship by conferral. If approved by the Parliament, the new citizenship test will still have questions from the study guide, “Australian Citizenship: Our Common Bond”, but will also include new questions about the applicant’s understanding of and commitment to Australian values. Also, under the current system, citizenship applications are rejected if the applicant was convicted of a serious offence. The government now views this as insufficient. The new test will look deeper into the applicant’s history for all offences, including minor ones, which are not acceptable by the standard Australian values, such as welfare abuse. If approved by the Parliament, applicants will have to prove that they have integrated into Australian society. They will be required to produce evidence of integration, such as proof of tax payments, school enrolment for children, employment, and club memberships. For example, the government wants to see proof that applicants who are of working age have actually worked and that every applicant’s child of school age has been taking advantage of the great Australian education system and attended school (instead of, for example, being involved in gang violence). If approved by the Parliament, the new rules stipulate that after 3 citizenship test failures, the applicant must wait 2 years before retaking the test (the current system allowed applicants to retake the test as many times as they wanted). As well, applicants who cheat during their test will be denied citizenship. Are you preparing for your Australian Citizenship Test? Our Australian Citizenship Test Training Program is up-to-date and will help you pass your test first time. Did you like this article? Share it and “like” it! My mother in law and father in law heat Australia but they are waiting to apply for citizenship. They don’t have to do a test because of age over 70 no test required. I think if they heat this country they shouldn’t be getting citizenship in this country. they shouldn’t Heat Australia, its already too hot….lol. My parents are Australian citizens (all siblings Australians by birth) and I have permanent residency living in Australia since 1996. Do I still need to do the test once I applied for citizenship? i have been a permanent resident for over 20 years i am now 72 and want to become an australian citizen ,i have been told by people that i am too old ?is this true? I got my residency on June22 2018 do I wait for 1 year or 4 years before I apply for citizenship. I was born in Canberra at December 13, 1971, when my parents was working at the ANU, Canberra. Am I eligible to be an Australian citizen? My husband is 67 year,,,he’s been in Australian for 20 years he has permanent resident….does he have to do the english test…in order to become a Australian citizenship. what he need Australian citizenship for. get him funearl insurance…. My citizenship file is opened and I am overseas staying from 3 months. Does it matter ? ?